Every shooter has seen or heard of 7.62x39mm and 5.56 NATO…when you are building an AR, cruising a gun show, or staring at a wall of ammunition at your local gun shop. These two cartridges are some of the most abundant ammunition choices on the planet. For good reason as well, considering that most major, and minor military forces on Earth use one of these two cartridges. But, which is better, and does it matter? The 7.62×39 Ruski was established towards the end of WWII by the Russian government in 1944. It was designed to be an intermediate range cartridge and gained a lot of traction once the Russian government designed the AK-47 and put it into military use. 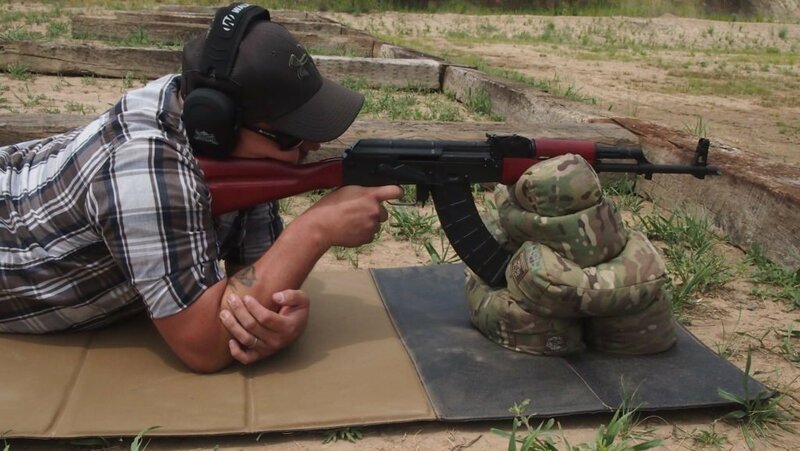 You can read more about the history of the AK, 7.62×39, and learn more in our AK-47 Buyer’s Guide and our Best AK-47 Ammo articles! Once China adopted the round, among other countries in Africa and South America, 7.62×39 chambered weapons and the ammunition proliferated. As far as ammunition choices for the 7.62x39mm go, its pretty plain and has not changed much in its history. Most commercial loads use a bullet weight of just over 120 grains, and the bulk of the ammunition is either full metal jackets, hollow points, or pointed soft points. Due to the fact that the 7.62x39mm actually uses a .310″ projectile and brass casings aren’t as plentiful, this probably isn’t the round for the reloaders among us. The Truth About Brass Vs. Steel Case Ammo. The 5.56 NATO was originally designed off of the commercial .223 Remington load, and it was adopted by NATO countries in 1961. The concept of the 5.56 NATO was that is was smaller than the previous 7.62 NATO cartridge, which meant troops in the field could carry more of it. Considering that the majority of shots taken during warfare are missed, having extra ammo on hand was and is still a good idea. During the 5.56 NATO’s history, projectile weight has changed a good bit, much like my wife when she randomly changes outfits before we go out. Since the .224″ caliber projectile is popular with the .223 Remington, reloaders can really fine-tune a cartridge for maximum accuracy at the range or in the field. For those that don’t reload, there is a cornucopia of choices between 5.56 NATO and .223 Remington factory cartridges. 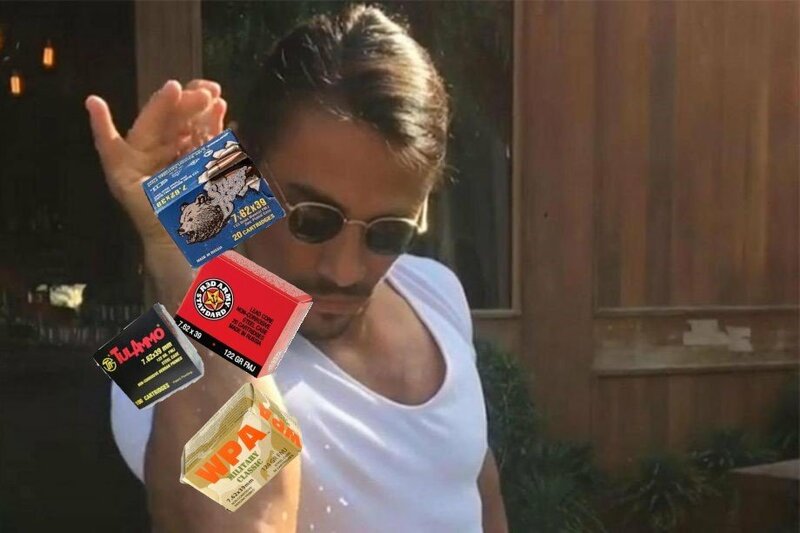 We have a list, well a complete guide actually, to our favorite 5.56/.223 ammo. Foregoing the innuendos, and “that’s what she said” jokes, does the concept of smaller calibers hold water for lethality? In my opinion, and in the opinion of militaries across the globe, it does, given one important element. VELOCITY. To do a quick physics lesson, kinetic energy equals half of the mass multiplied by velocity squared or K.E. = 1/2 mv^2. Velocity tends to be an important factor when calculating kinetic energy on a target considering it goes up exponentially. Mass is obviously important, but the faster it goes, the more potential damage it can do. Also with velocity comes further effective ranges. When you look into the ballistics of a common 123-grain FMJ the muzzle velocity is around the 2,350 fps mark. 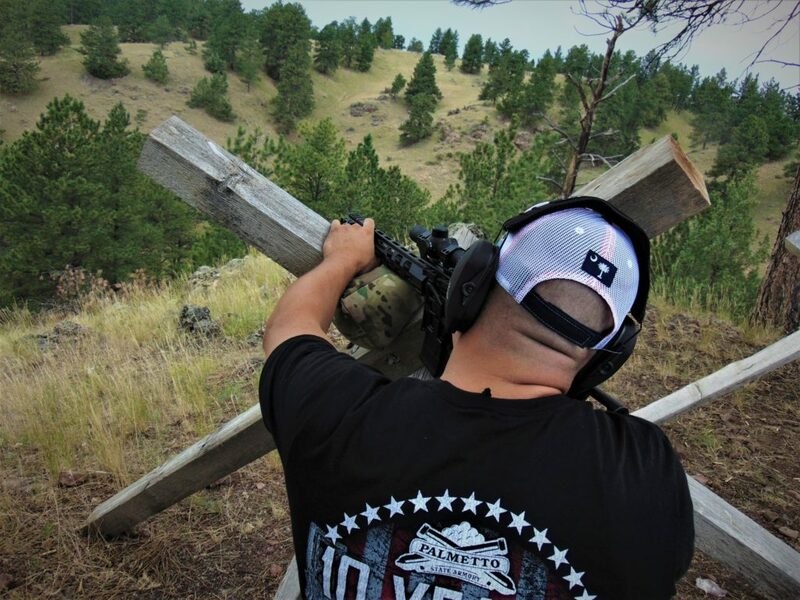 It’s a reasonable velocity for a short-range cartridge, but because of its mediocre ballistic coefficient, at 300 yards, there is 26″ of drop with a 100-yard zero and hits with 550 ft. lbs. of energy. 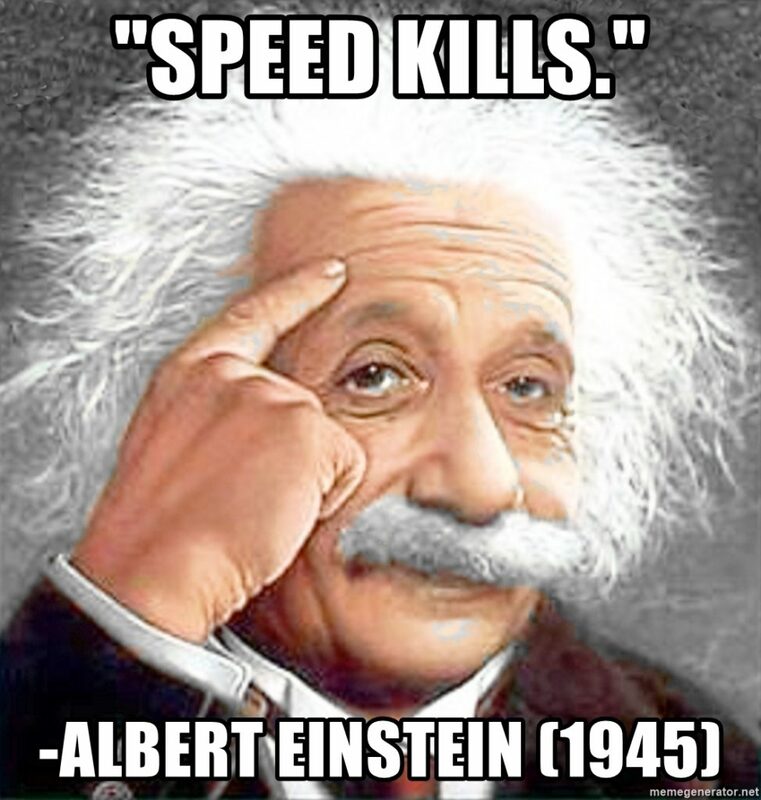 Albert Einstein probably said this… probably. Now when we look at a 5.56 NATO with a 55-grain M193 cartridge, muzzle velocity is around 3,000 fps, and at 300 yards, there are only 10 inches of drop with a 100-yard zero. Kinetic energy is roughly the same at around 520 ft. lbs. of energy. But when we jump up the bullet weight to a Mk262 70 grain OTM load, muzzle velocity is roughly 2700 fps, and there is only 12″ of drop when zeroed at 100 yards. Kinetic energy then jumps up to a whopping 700 ft. lbs. I’d say the 5.56 NATO is taking the lead! How Hard Does It Hit… Your Wallet? The price of ammunition is definitely something to consider when comparing different cartridges. While .223 Remington steel cased ammo is roughly the same as steel case 7.62x39mm, brass cased 5.56 NATO has a large difference in price. While many people don’t mind shooting steel cased .223 Remington, some ARs will just not properly cycle it, and it can cause premature wear in barrels. Availability is about the same between the two cartridges, but in good conscience, I have to give the 7.62x39mm the nod on price per round. This benefit may be a deciding factor for many people on a budget that want to shoot as much as possible. Whether you just want to punch paper, train with your rifle, or go out and dispatch some hogs or deer hunt, the 7.62x39mm definitely wins this round. More ammo means more fun, and I don’t think anyone can refute that. When you dive into the depths of choices for rifles, it starts to get a bit dicey. 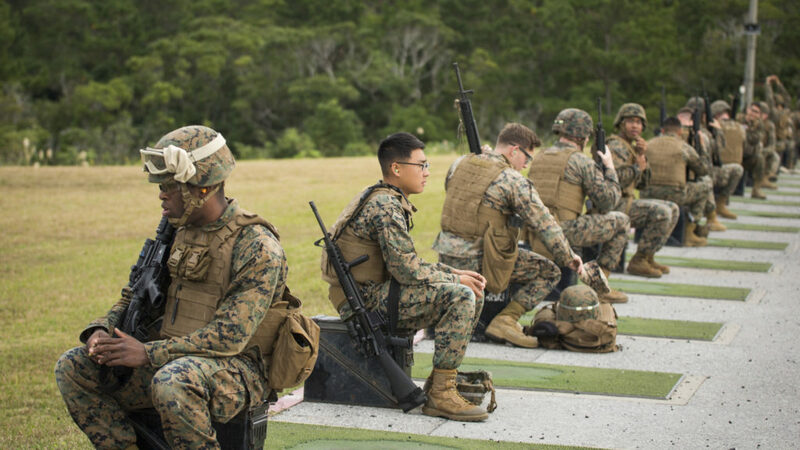 Rifle choices are plenty, and ultimately, they are dependent on the shooters preference. Between AR15s, AK variants, the Ruger Mini-14, Mini-30, or the SKS, there are plenty of semi-automatic rifles that you can choose from. 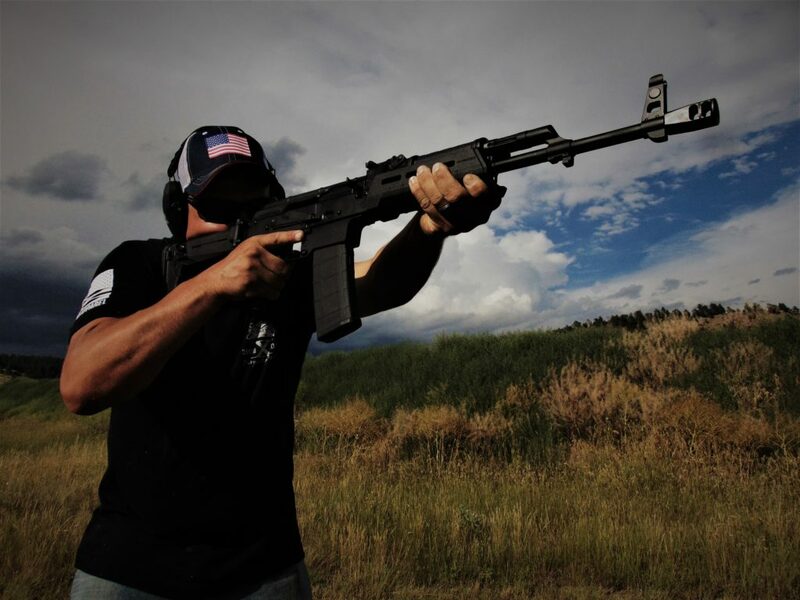 Author handling the Palmetto State Armory AK chambered in 5.56 NATO. Some are even interchangeable now that more and more people are interested in AR15s chambered in 7.62x39mm, and on the other side of the coin, the AKM variant chambered in 5.56 NATO by Palmetto State Armory. So in the end, does it really matter? The choice is ultimately up to you and what you want in your rifle. Either way, the next time you are on the range, put casings on the ground and have fun! If you are interested in the AR-15, you’ll want to drive into our AR-15 Complete Buyer’s Guide. What would you rather have – an AR-15 in 7.62×39 or an AK in 5.56 NATO? Let us know in the comments! Check out more info in our Ammo & Reloading section too. The post 5.56 vs 7.62x39mm: Ballistics Match of Tortoise and the Hare appeared first on Pew Pew Tactical.